Supplementary material reads: "Ward Club photo assignment for Thursday, November 14 at 11 a.m. Pls. 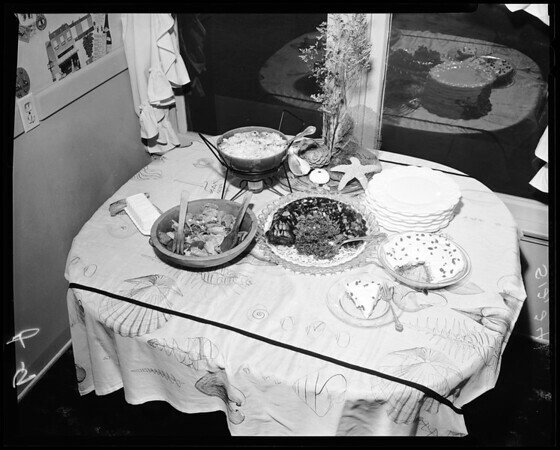 go to home of Mrs. Eugene Nott, 2821 Holly Avenue, Arcadia, HILLcrest 74089, for Foof Feature pictures re: General Federation women's club cook book. Five of six junior club women in picture. (Holly is past Rosemead boulevard, and runs into Las Tunas)".